A former American general is under investigation for allegedly leaking details about the Stuxnet virus. A retired United States general and former vice chairman of the Joint Chiefs of Staff is under investigation for allegedly leaking details related to the Stuxnet virus that hit Iran in 2010, NBC reports. Retired Marine general James Cartwright is reportedly being questioned over allegations that he provided reporters with information about Stuxnet. Cartwright was informed that he was being investigated by the Justice Department. No decision has been made on prosecuting him. 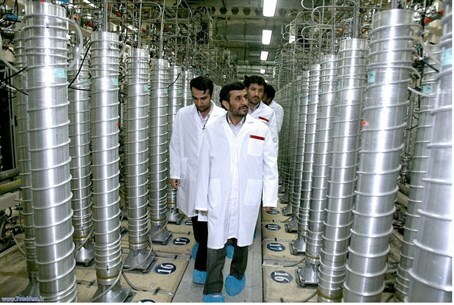 Stuxnet was reportedly a U.S.-directed cyber attack on Iran’s nuclear program. Israel reportedly played a part in developing the Stuxnet worm. The program became public when it moved beyond Iran’s nuclear plant network and began affecting other countries. Last year the New York Times reported that Cartwright was behind previous cyber attacks on Iran, as part of a program dubbed “Olympic Games.” U.S. President Barack Obama reportedly ordered the Stuxnet attack. Since Stuxnet, Iran has been hit by the Flame virus, which computer experts dubbed "the most sophisticated cyber-weapon yet unleashed."